Divorce & matrimonial finance, Schedule 1 Children Act 1989 applications. Also applications in relation to Divorce and Children matters arising in connection with family breakdown and divorce. Cohabitation, constructive trusts, Trusts of Land and Appointment of Trustees Act 1996 matters, costs & general civil work. James Studied At Edinburgh University (MA), La Terza University In Rome And City University (GDL) In London. After graduating he pursued a career in investment banks in London working for UBS Warburg, Goldman Sachs and the Bank of New York before turning towards the legal profession. 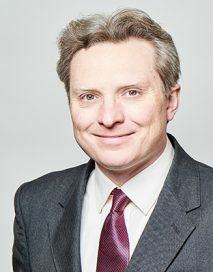 He was called to the Bar in 2005 (Middle Temple).